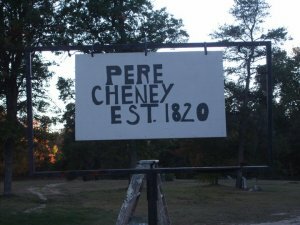 BEST TIME TO VISIT: May-oct COMMENTS: Simply go through Roscommon to Johnson Road. Make a right on Johnson and follow to the end which will be Seven Mile Road. 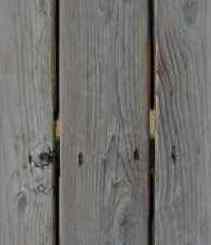 Make a Right on Seven Mile Road and follow till you see the railroad tracks. Just before the tracks there is a 2 tracker to the Left. Follow this 2 tracker through the woods, keeping to the right when it forks in the road. 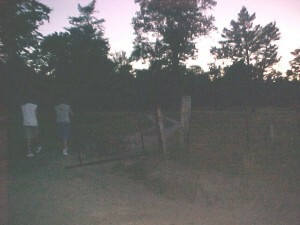 Approximently just over a mile you will see the cemetary on your left. Entering through the broken gates to Pere Cheney - that's my husband and son. 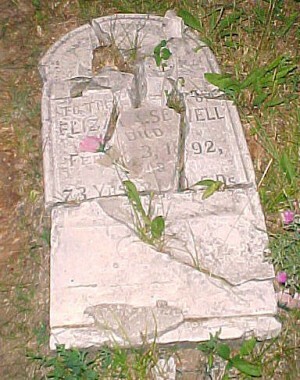 Elizabeth A Sewell - Died February 3, 1892 age 73 One of the vandalized headstones that somebody has attempted to lay together on the ground. 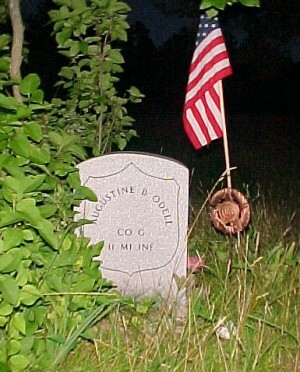 Augustine ODell - there are numerous ODell headstones - this one without dates and one that looks very new. The flag which marks it only proves that the war veterans are never forgotton - even in cemetary's that are located in the middle of the woods. 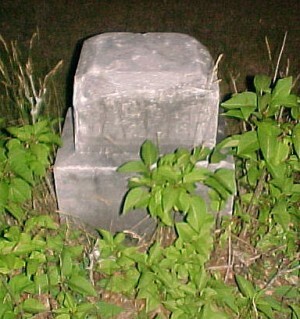 Another vandalized headstone. This one had the name Barber. 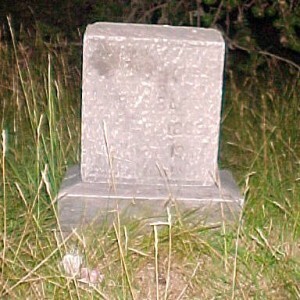 The top of the headstone is nowhere to be found. This is a light seen in the photo. There was nothing for a relfletion or glare that evening and so I don't know what it is. My daughters teacher had the same light in her photos. I did not see the light when I snapped the photo. 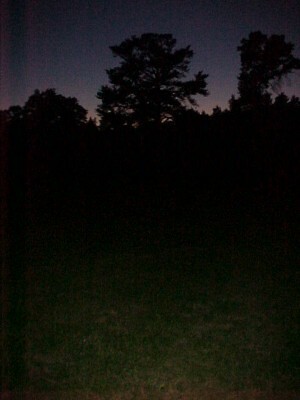 I have other photos with the same light in the same set of trees. I took the photos as we were driving away. 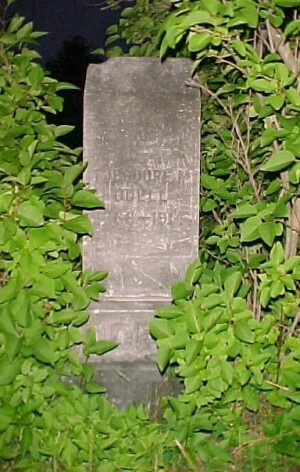 Older headstone - notice the placement of the flower. A flower was placed at each headstone throughout the cemetary. 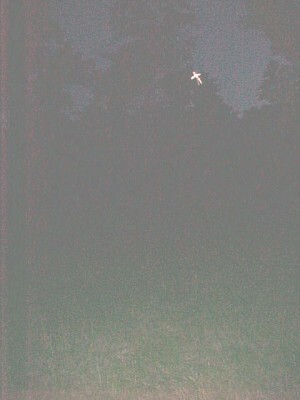 As I was leaving, but no light visible in the tree. Theodore ODell - one of the few with overgrown brush around it. 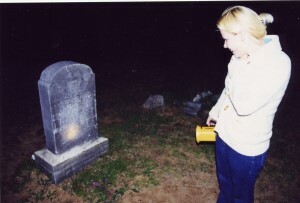 We found this one in the rear of the cemetary close to the woods. 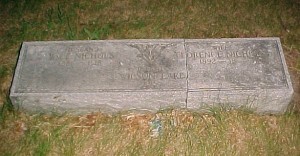 Nichols Headstone - vandalized, but neatly put back together on the ground. 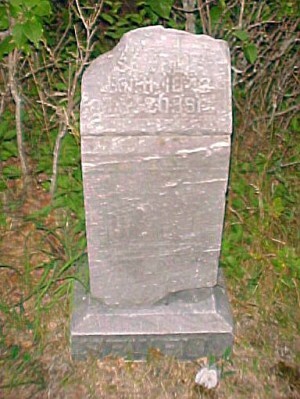 Just a headstone with 1892 and I can't read the rest of it.